social media | Masters of What? Just a few weeks ago Vine announced their move to Android and witnessed the sharing of its videos on Twitter surpass shares of tweets linking to Instagram (2.86 million vs. 2.17 million)…Read more over at Red Door Interactive. A few weeks ago, Nicole wrote about the fantastic social media and on-the-ground efforts of American Airlines when she left her wallet on a plane. I thought I would follow her awesome social media effort post with one of my own. On April 16th a coworker told some of my team about the Ben & Jerry’s truck that was roaming around San Diego delivering free ice cream until the end of April. Obviously, getting this truck to stop by our office became my live’s priority at the time and I started Tweeting my pleas. At this point I’m thinking free ice cream from a fun mini delivery truck is a 100% sure thing. Sadly, April came and went with no little blue truck pulling up to our office. 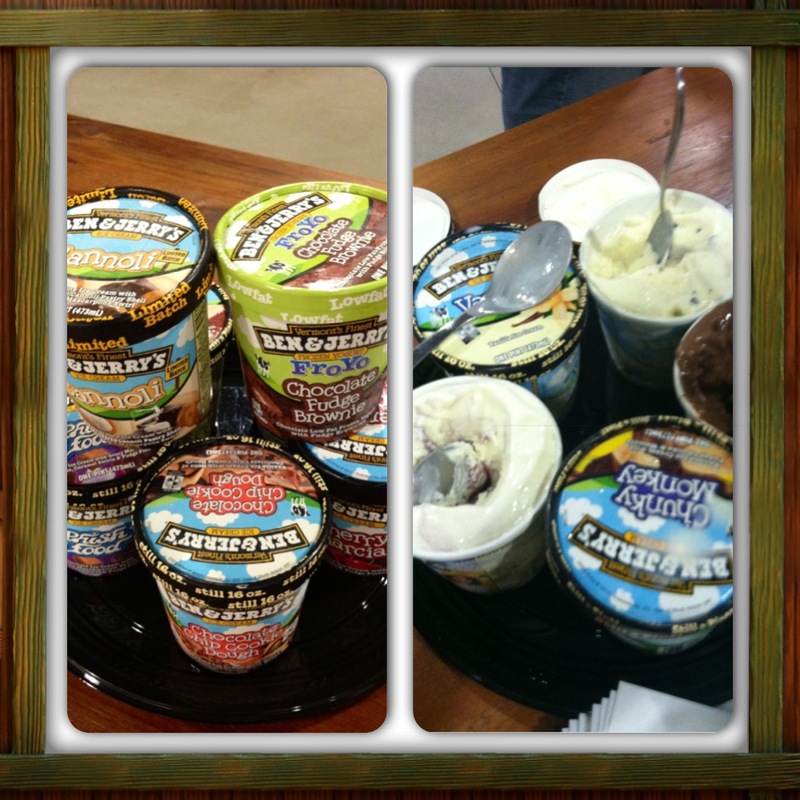 Sarah, unfortunately, also missed out on the frozen, creamy goodness and let me know on Twitter. Yes, yes, my last Tweet there may have been a little over the top but…it got the job done. Within minutes I had a DM waiting for me asking for my company’s address and how many people we had in our office. A few days after that and Sarah and I both had 10 – oh yes, 10 coupons for free pints of Ben & Jerry’s ice cream. Do you know what that lead to? AN ICE CREAM PARTY! I went and redeemed every one of those coupons for a variety of flavors, including some of their delish frozen greek yogurt flavors, and had a little party in the office. It may not have been as fun as delivery truck pulling up (and definitely more messy) but in the end Ben & Jerry’s made me a super happy-camper. And, FYI, if you’re in the Los Angeles area @BenJerrysWest will be serving your area through the end of May – get Tweeting! On March 10, I was flying home from Miami where I attended the International Public Relations Research Conference. I was tired and hungry, so I decided to order some food. I gave the American Airlines flight attendant my credit card and then put it back in my wallet when she returned it. At that point, I believe I left my wallet on my lap, unable to maneuver around my food, drink and tray table to return it safely to my purse. After my sandwich, I took a nap and woke up in San Diego. I didn’t think about my wallet until the next morning when I was getting ready for work and panic set in. I knew exactly what happened. Over the next few weeks I made a lot of calls and online requests to the lost and found and baggage claim at Lindbergh Field and Dallas Fort Worth (where my plane had headed back to). Also, like any PR practitioner I know, I tweeted about it and included American Airlines’ handle. Now, let me tell you, the social media team at AA is awesome (or they were to me). They responded immediately and made me feel like someone was doing something to help. Weeks passed by and I replaced my credit cards and driver’s license and lost hope of ever seeing my wallet again. But, I felt like my concerns were heard and I didn’t harbor any feelings of ill will toward AA. I mean, it wasn’t their fault I left my wallet behind and they did try to locate it. Then, on Tuesday (as in 50 days later), I received a package in the mail from AA. It was my wallet and a handwritten note from Mac in baggage claim at DFW: “Please call me when you get this.” My gift cards were stolen, but most everything else was intact. I let Mac know and of course, I tweeted about it. And of course, AA replied. No matter where you were last week you felt the effects of the tragedies in Boston and West. You didn’t have to have someone you knew running in marathon or living in Texas, once you heard the news life seemed to stop. But, fortunately, and unfortunately, the Internet and social media don’t stop. There were some fantastic online and social media efforts on the part of the Boston Police Department (@Boston_Police) who kept the public up to date with correct information and by dispelling any rumors and hearsay about the investigation, and Google who announced their Person Finder to help those in distress find their loved ones. And, of course there were also those social faux pas, mostly caused by scheduled posts that weren’t turned off (like Kim Kardashian’s). Stay current and knowledgeable on all current events (which should not only be during a crisis, but at all times while working in social). Offer to help. But only if you actually have the ability to offer valuable assistance that could truly and positively affect someone. Heck, a simple Google Drive Doc gave hope to many people in Boston. Offer condolences. But don’t feel the need to have to post. You want your voice to remain authentic and real, don’t just become one of the crowd due to obligation. Your readers should know your brand’s tone and know it came from the heart. Go dark. There’s nothing wrong with saying nothing if you have nothing to say – sometimes tragedy is too much and there’s nothing you can do to address it. Last week, I ventured to Miami for the second year in a row to present research at the International Public Relations Research Conference. 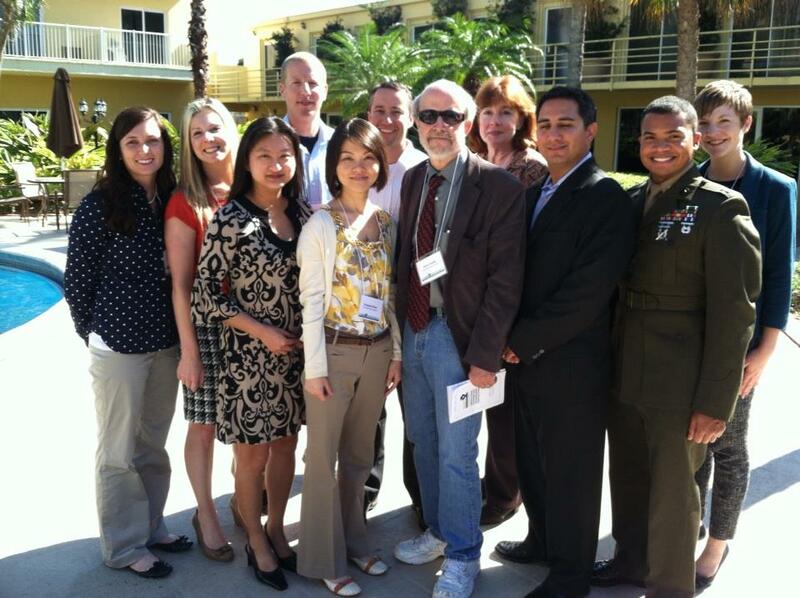 IPRRC brings practitioners and academics together in order to share and advance the latest PR research. Unlike other conferences, IPRRC is made up of informal roundtable sessions where the presenters can share their research, then discuss it with a fairly small group of people. This facilitates conversation among practitioners, faculty and grad students and often leads to new ideas and collaborations. SDSU had a great group of representatives in Miami! With three very full days of presentations, I was pretty exhausted by the time I got to my own presentation (the very last session!). Luckily, it’s a very positive environment and there didn’t seem to be any judgment as I tripped over my words a few times. In fact, everyone was very kind and encouraging, just like they were last year. IPRRC really has something for everyone in PR, as you can see in the program. If you are a practitioner, you are sure to find presentations relevant to your practice. If you are an academic, you are sure to find presentations relevant to your research interests. Right now, I’m both, and I found both. Social media was one of the most popular research topics. From best practices to ethics to creating dialogue to measurement, there was a ton of discussion about social media. My paper was also related to social media, but focused on new PR professionals and why they are often the ones to take on social media tasks. If the topic interests you, go read my thesis! Haha… I know that won’t happen, but if you want a shortened version, I’d be happy to chat about it! Yup, you read that right! 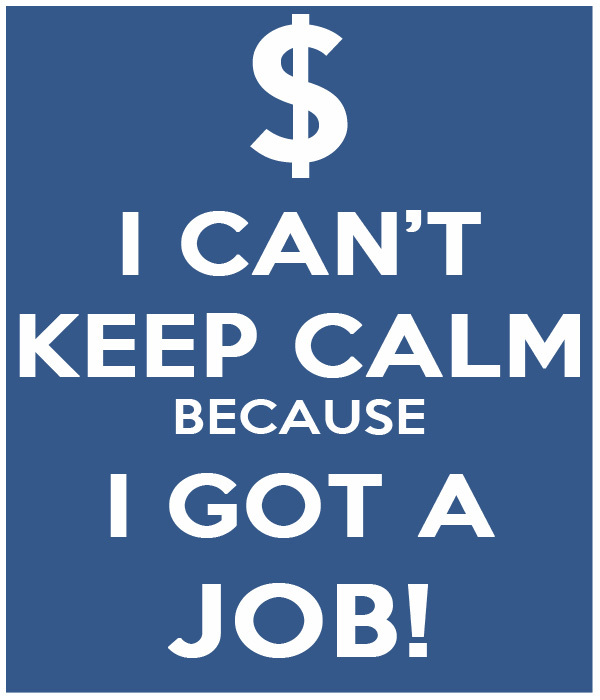 I landed myself a job! If you’ve followed Masters of What? for any time at all, you’ve learned that ever since snatching up that MBA I’ve been furiously searching for my “Big Girl Job” (you can read more about my pursuit in some past posts). But today I’m here to reveal that starting Monday I’ll be a full-fledged team member at Red Door Interactive. Doing what, you ask? Well, I will be the newest member of their Cross Channel Marketing team as a Social Media Coordinator working with some great clients and helping on some exciting social campaigns (you can check out some of RDI’s clients and past campaigns on their site). So, enough about me. Let’s turn this back to a new-pro, business learning situation. How did I land such a sweet job with a killer company? Internships. That’s right folks, all those internships you’re looking at PAY OFF! If you’ve done your appropriate online-stalking of my LinkedIn profile you know that I spent the Summer of 2011 as an intern at Red Door. Well, as of January 2013, I was back as an intern (albeit in a slightly different role as social media intern). So, make sure you’re always keeping your eye out for available opportunities and staying in contact with past connections – that’s how I even found out RDI needed someone in their social department (thanks, Anne!). Want to start your career at RDI? They’re looking to fill a few positions. If you know a stellar Senior Paid Search Specialist or a Senior Interactive Copywriter, be sure to send them the lead. 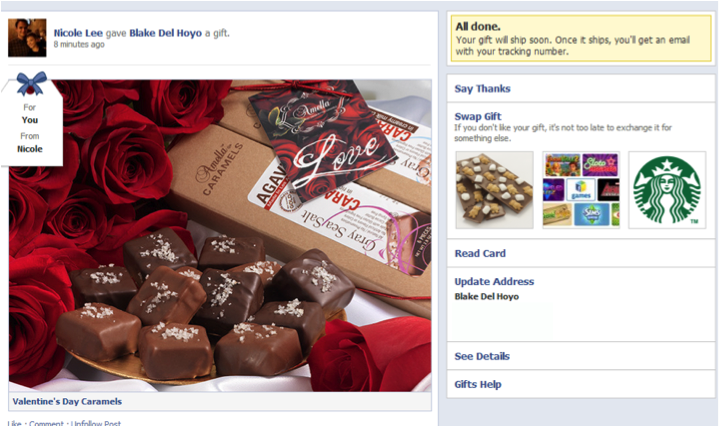 If you didn’t know yet, you can send REAL gifts via Facebook. None of this virtual or poking nonsense but real-life goodies! So, one day I was happy to see a little notification on my Facebook (I always get excited when I get a notification because it means I have received virtual attention – which is what Gen Y thrives off of). When I clicked on it I was lead through the process of redeeming my gift! One aspect that was interesting was that you could make tiny changes to the present. Nicole picked these milk chocolate salted caramels for me, but since she obviously doesn’t know me well (and all of the health benefits from dark choco) I switched it up and got the dark chocolate. Although she spaced on my love of dark chocolate she knew me well enough to know I wouldn’t turn down candy. Not sure if your recipient will love your gift? No worries, I was given the option to TOTALLY swap out my gift! I’m not sure if the sender would be notified if you do swap out your gift (Nicole assures me she did not get the notification that I changed my chocolate choice). Has your Valentine sent you a gift? What’d ya get? Do you think you will be sending any gifts on Facebook? I ventured and sent Nicole a gift. I settled on a gift card after passing up the $50 bottles of wine you could ship! 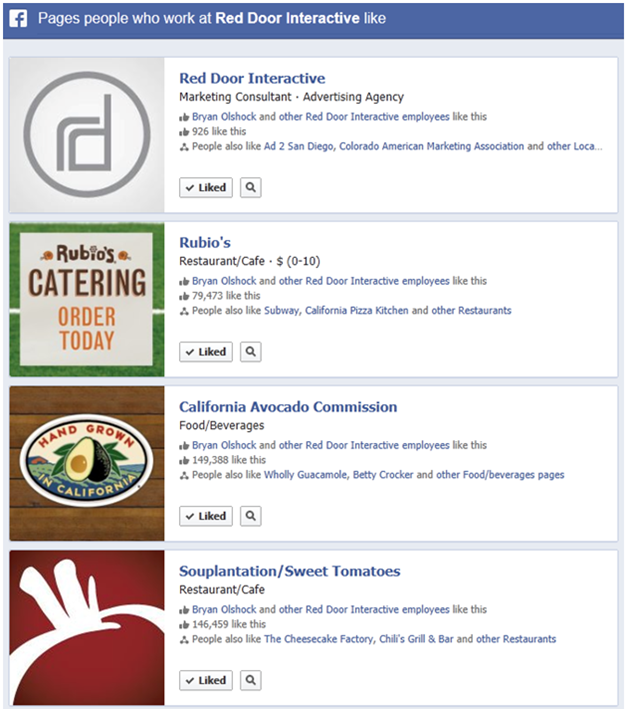 As you’ve probably heard, unless you’re living under a rock with no wi-fi, Facebook recently launched its Graph Search. Our own Social Media Strategist, Anne Buehner, even wrote up a piece a few days ago outlining the “Next Steps” for brands (you can read the post here). As a grad student, I have used the site to follow what other researchers are doing and to connect with fellow academics. I’m not very active on it, so I’m sure I’m not getting all the value I can. I can also see how non-academics may simply be interested in following the research in certain areas long before it is published. Like many platforms, you can follow people and they will be notified that you are a follower, but they don’t necessarily have to follow you back. In addition to posting your own research, you can post blogs, teaching documents, conference presentations and ask questions within a certain research topic. As always, we want to hear what you have to say. Have you used Academia.edu? Do you find it useful?